Join us at a restaurant near you on 10/10 to celebrate 10 reasons kids need outdoor learning! 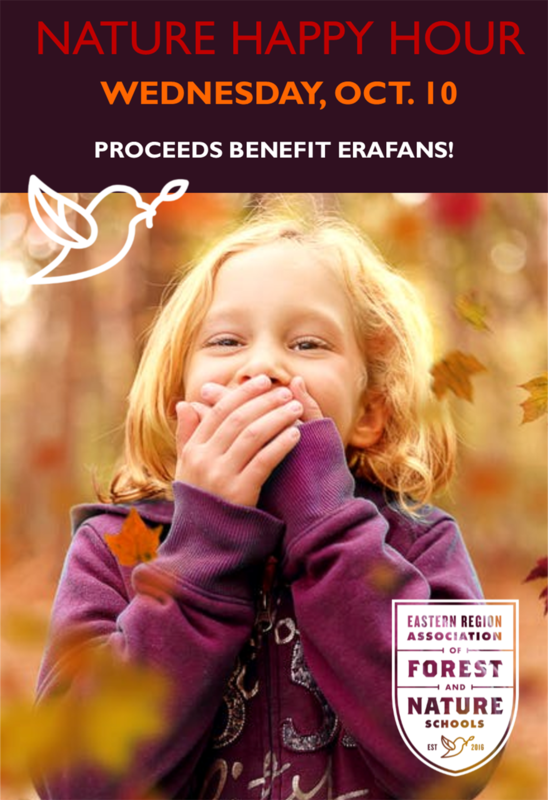 Proceeds from the Nature Happy Hour will directly support ERAFANS' Forest Days pilot program. The Forest Days program offers immersive outdoor learning for kindergarten children on a weekly basis, throughout the school year. Our pilot runs September 2018 through June 2019 in a Title 1-designated public school in downtown Philadelphia. Based on our experiences with the Forest Days pilot program, we will expand the Forest Days model and offer it to public schools nationwide. The cost for the Forest Days pilot is $10,000 - please help us reach our goal! Raise a glass on 10/10 or donate as little as $25 to lend your support (see below).